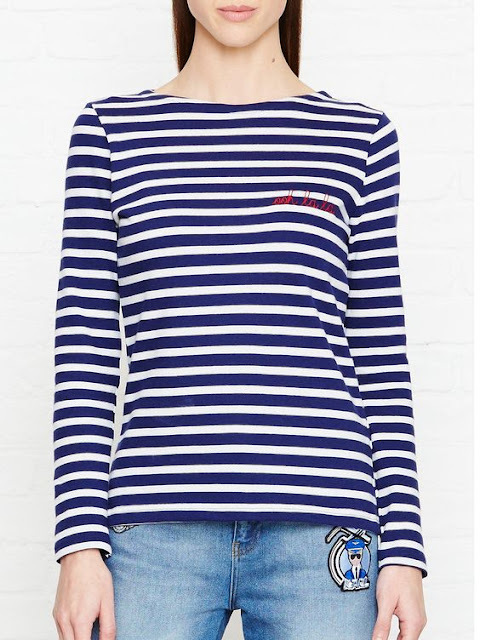 Style Theory: Is there a top that shouts summer as much as the breton. 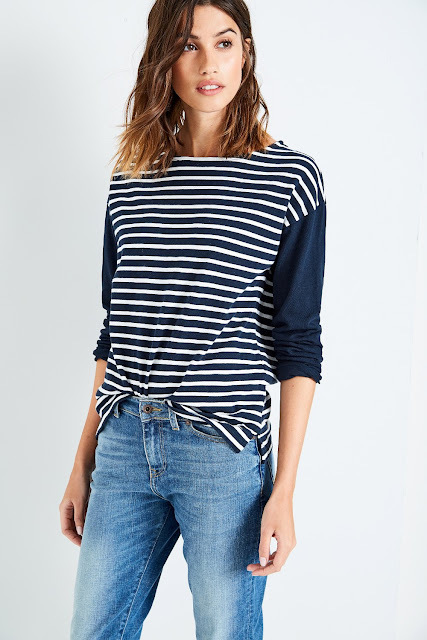 It is a versatile, chic and endlessly useful top that never ever goes out of fashion. 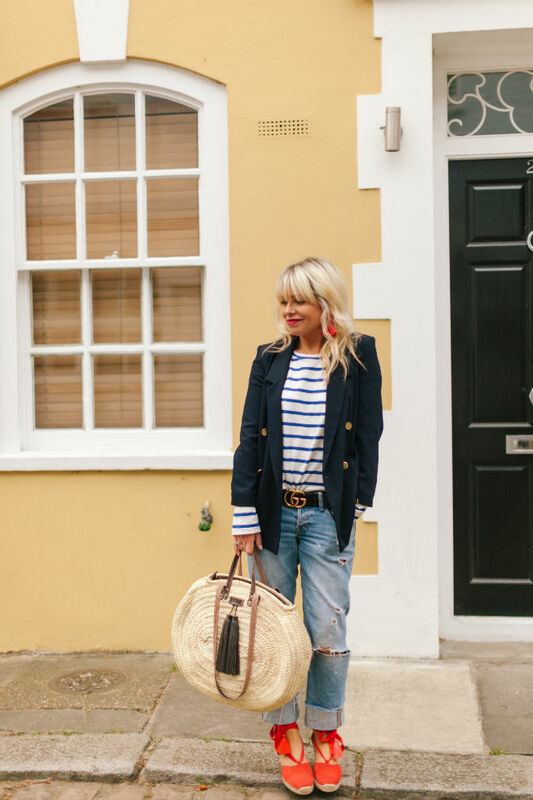 It is so easy to wear, can be dressed up with a pair of jeans and heels, or dressed down with shorts and sandals in the summer. 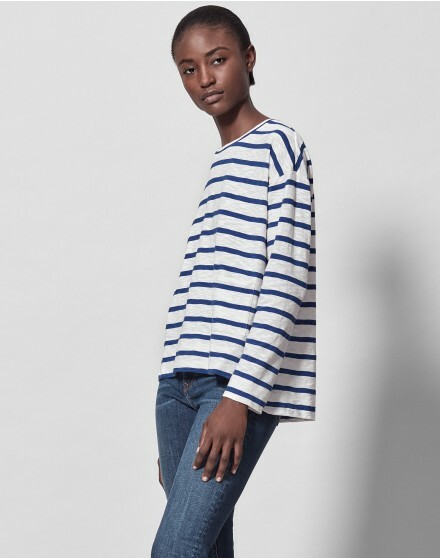 The breton has stood the test of time, 100 years in fact, so it is definitely worth investing in as you can wear them year after year after year.. 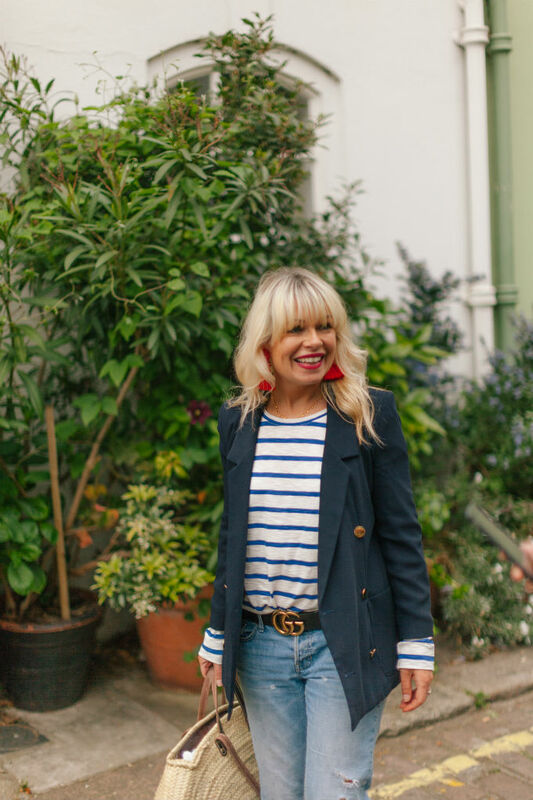 This Me+Em breton is so easy to wear, a good weight fabric (not too thin that it clings - not too thick that it is too hot) it is cut to be worn quite loose (I would recommend sizing down as it does come up a little on the large side) It is a clean white colour and just looks chic on. 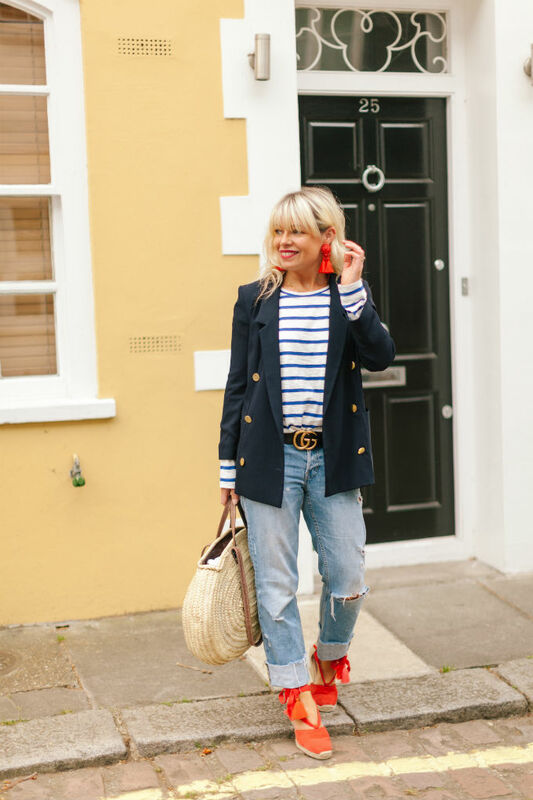 I paired it with my old Gap jeans and added some pops of colour courtesy of a pair of red H&M earrings and these incredibly comfortable espadrilles from Air and Grace with a memory foam sole that makes walking in them a dream. 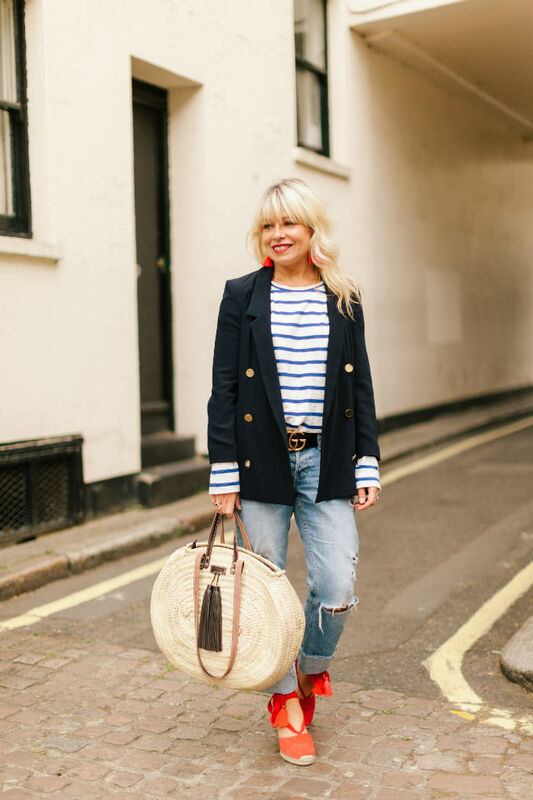 I really believe every wardrobe should have a breton in it, they are easy to pull on with anything, they look great clashed with a print (either skirt or trousers or a camo jacket) and can dress down a super smart skirt and put a cool French twist on any look. 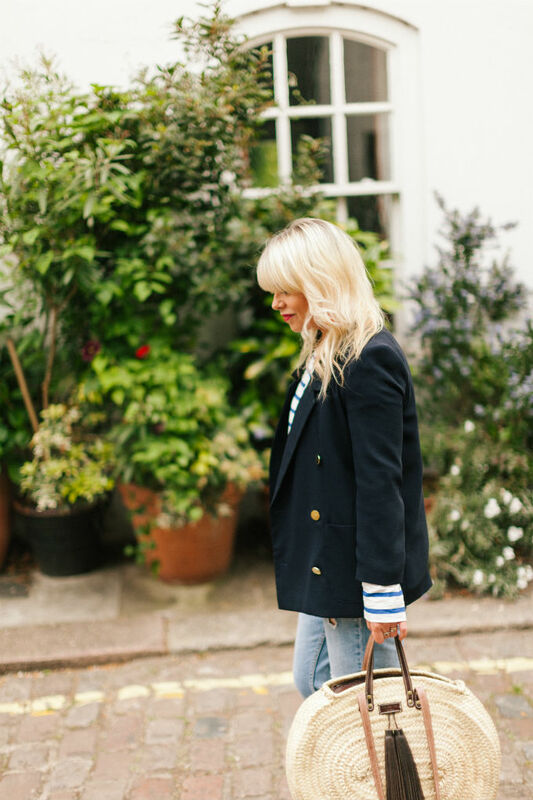 There are so many on the high street to choose from here are a few of my favourites.. This breton looks beautiful on, the darker panels down the side do an amazing job of slimming me down. A heavier weight fabric than above but not too heavy to wear in the summer. 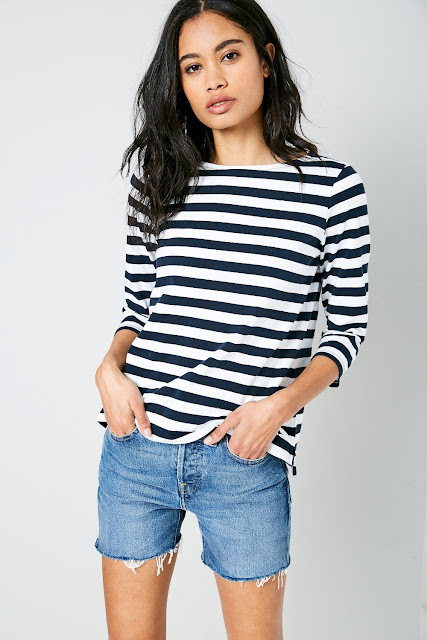 Size down on this top as it does come up slightly large. 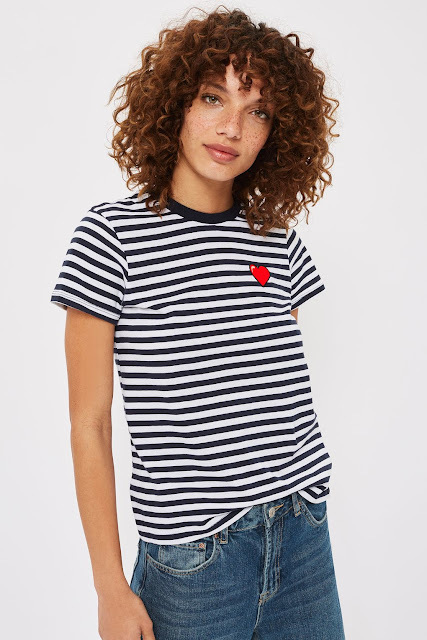 I have a couple of Maison Labiche tees and they are the most luxurious, beautifully cut tees, they wash amazingly and look great on. 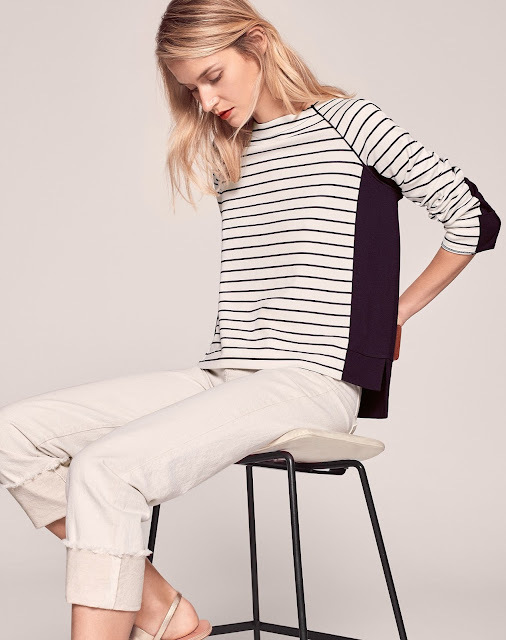 They skim the figure rather than cling. A twist on the basic breton by Tophop, this has embroidery high on the shoulder and a slogan tab at the back, a really cool and useful top..
A little bit more of a T-shirt than a true breton but I love the embroidered heart on the tee, looks more expensive than £22.. 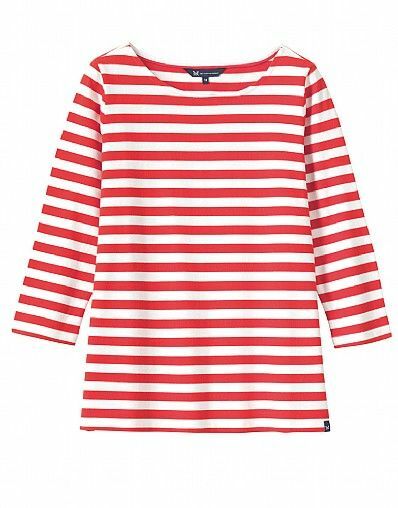 I am a huge fan of red this season so this breton caught my eye, the reviews written about it online ae pretty good and it would look fab with jeans and red espadrilles. Jack Wills make good breton tops, these contrast arms take away the bulky stripe look, a great weekend top. This is a true breton with it's wide neck, relaxed fit and long sleeves. 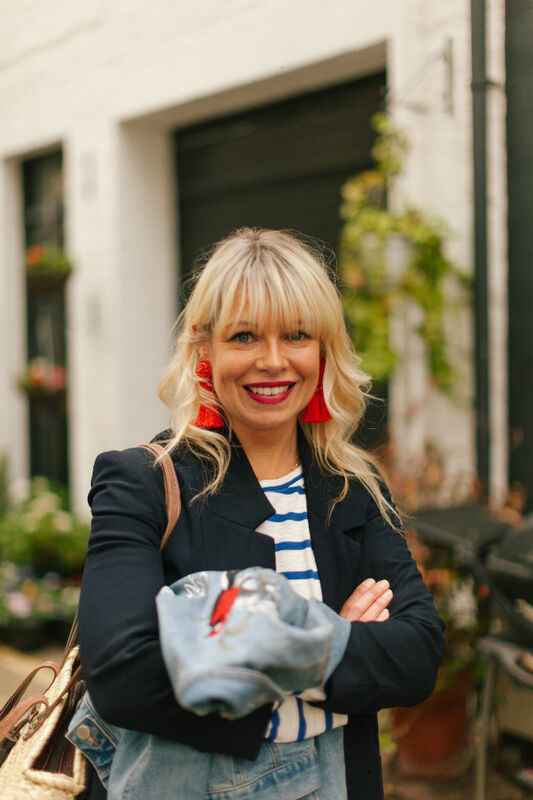 A classic made of heavy cotton, this top will last year after year..
New to your blog, so apologies if this is something previously discussed, but where are those amazing earrings from? !